There are always more questions than answers. 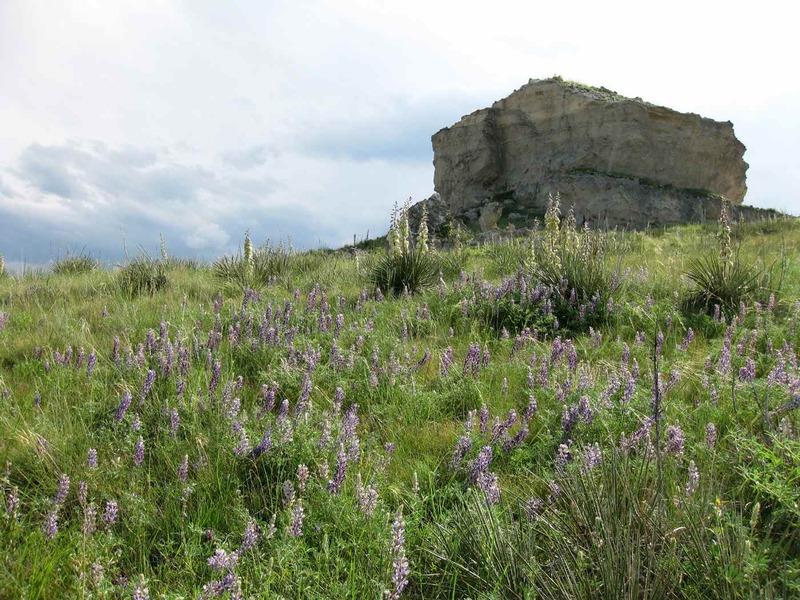 At the Prairie Plains Resource Institute, a 31-year-old educational land trust in Nebraska, restoration of high diversity tallgrass prairie ecosystems in eastern Nebraska is their core activity and source of revenue. They also are involved with l and education and with management of six small prairie preserves. Ranch management in western Nebraska, on the other hand, is a work in progress. 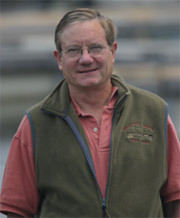 Bill Whitney, Executive Director of the Institute says, “We lease our 4,944-acre Guadalcanal Ranch near Harrison in the northwest corner of the state to Scott Schaefer, a homegrown young man who loves agriculture. He wants to do the right thing for the resource and make a living for his family. “The Prairie Plains goal is to layer an educational process onto the working ranch, covering the gamut of natural history, history and agriculture. The idea is to explore new income streams for the ranch while educating people who know little about the Great Plains. There’s a lot of compatibility. But we need to determine how agritourism , ecotourism, research and field study fit with the working aspects of the ranch. Also, who is our potential audience, and exactly what do we have to offer?” That’s how Mr. Whitney found me: while researching ranch stewardship he discovered PLN. “Scott and I are learning from each other,” Whitney continues. “He’s taught me one of the central problems in ranching. When cattlemen add value to their livestock through good native prairie nutrition and genetics, and make real conservation progress and productivity improvements to their ranch, they don’t necessarily get a reward at the sale barn for their calves! “Ranchers are victims of the McDonald’s and Wendy’s mass market that rewards pounds regardless of quality and flavor. Our young lessee is frustrated by this, yet it is hard to direct-market or make a regional marketing label based on land stewardship, much less the harder route to grass-fed ranching and associated specialty markets. Nebraska, the Cornhusker state, is far more than endless cornfields. Nebraska has a moisture and altitudinal gradient, which runs from above 34 inches annual precipitation/1000 feet elevation in the southeast to around 15 inches of precipitation/4800 feet in the northwest. 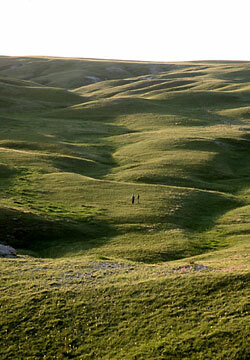 About 80 to 90 percent of western Nebraska is still native shortgrass prairie. Because of the rugged terrain, it is harder to irrigate and thus not a lot of the land is cultivated. Much of it still harbors a significant diversity of plants and animals precisely because of the traditional grazing practices, which maintain native grassland vegetation. When it comes to landowner outreach, “our message is that there's always more to learn about your own land's resources,” Whitney says. “For example, in eastern Nebraska not all people who graze livestock see themselves fundamentally as plant producers. Consequently, they don’t know plants very well. Knowledge is a powerful thing, and learning more details - such as plants and basic ecology - could help them restore their native pasture to a more diverse and productive state. The point is that culturally, Prairie Plains Resource Institute isn’t going to get anywhere in conservation without affecting people’s perception of where they live. That’s our approach. It's slow, and it’s usually one on one. “I’m from Nebraska, and I’ve never lived in another place. The landscape, social context and sheer scale of things out here on the Great Plains is awesome. I think the access to space is incomparable - you see a long way. Exposing others to that is amazing (and something that will get a boost with the Michael Forsberg's Great Plains documentary this year)." With the help of organizations like the Prairie Plains Resource Institute, understanding and appreciation of our wide-open heritage is growing. It is great to learn about this activity in eastern ne and northwestern ne. I will be sharing this with my family. Our roots are still in Ne. Good to hear that the roots are flourishing. Full-disclosure: I'm on the Prairie Plains Board of Directors. Amos, I enjoyed your article. During my involvement with the Prairie Plains Resource Institute, both as a long-time member and more recently through my service on the Board of Directors, I've been very impressed with the relationship that PPRI has been building with Scott Schaefer and the larger community of the Nebraska panhandle. It is a valuable model for preserving rural communities and conservation values.